We love connecting women online, but even more than that: we love connecting women in real life. This is where the magic happens—across tables and couches and playdates in the backyard. It takes a village to raise our kids, and on May 11th, we want you to intentionally invest in yours. Sign up via the form below to receive your special brunch bundle! 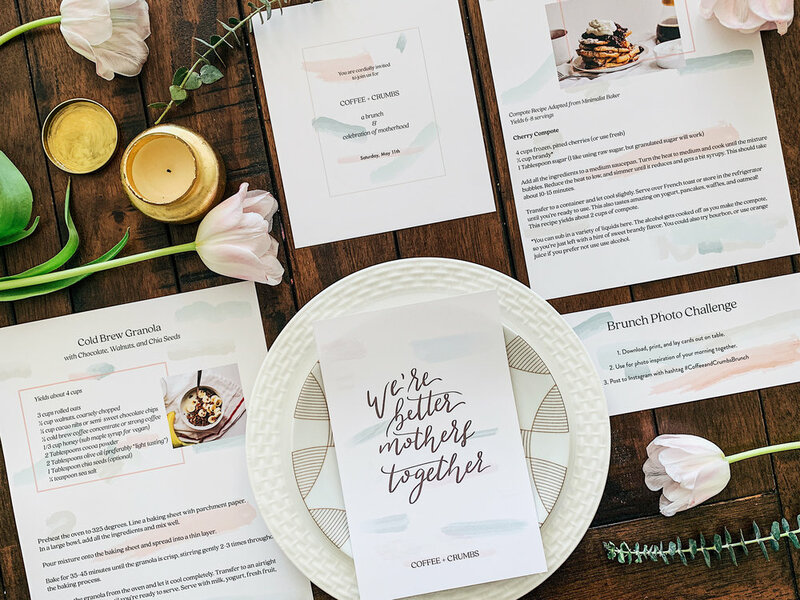 The bundle includes a place setting printable, place cards, menu + recipes, a playlist, plus a digital invitation you can text or email! SIGN UP BELOW TO HOST A COFFEE + CRUMBS BRUNCH ON MAY 11, 2019! Enter a description below for where you'll be hosting your brunch. Thanks for signing up! We'll be in touch soon with everything you need to host your brunch! We want to see your pictures! Use #CoffeeandCrumbsBrunch on Instagram!